2880mm Carton Box Paper Making Machine, also called Carton Paperboard Machinery, can make liner board paper, corrugated paper and other packing paper by using old carton, virgin wood pulp, etc. 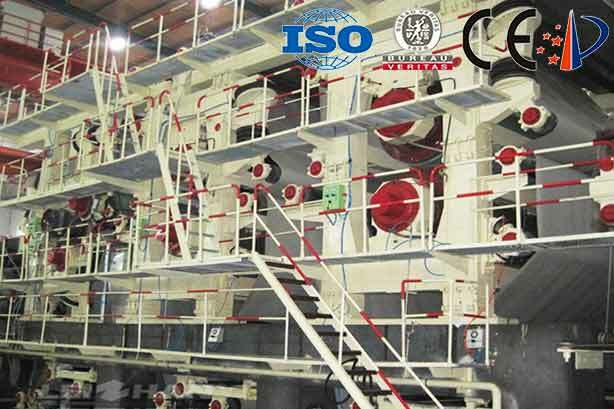 This Carton Paperboard Machinery is suitble for the pulp made by waste paper, old carton box, wood, cotton stalk etc. The output paper can be kraft paper, corrugated/fluting paper, testliner paper, which can make various carton box.